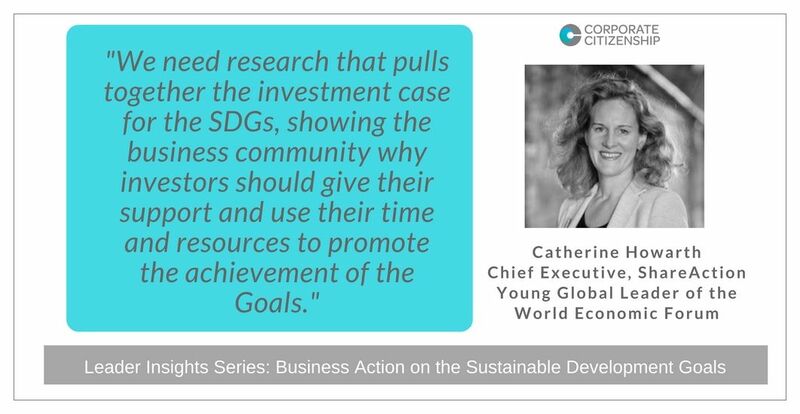 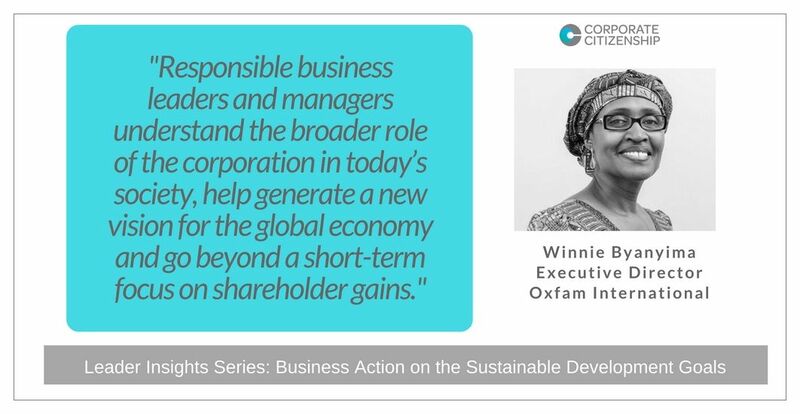 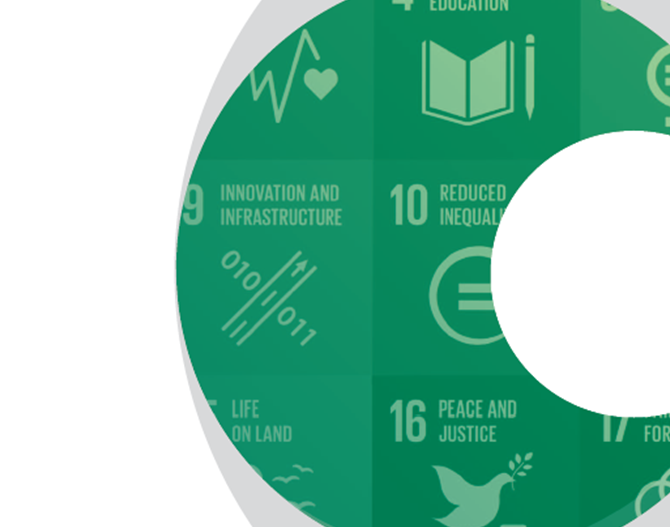 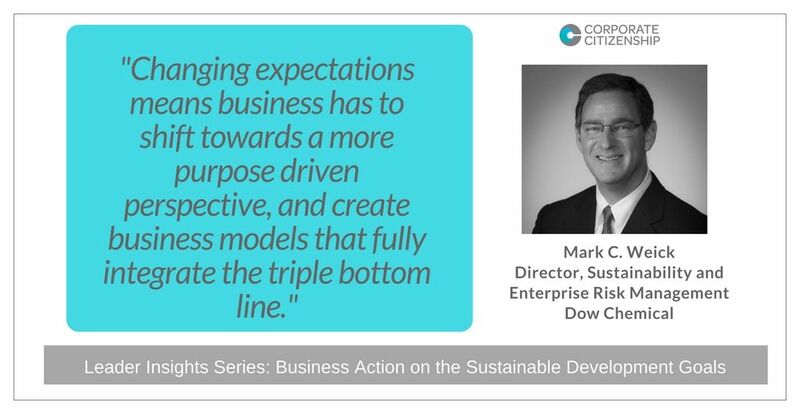 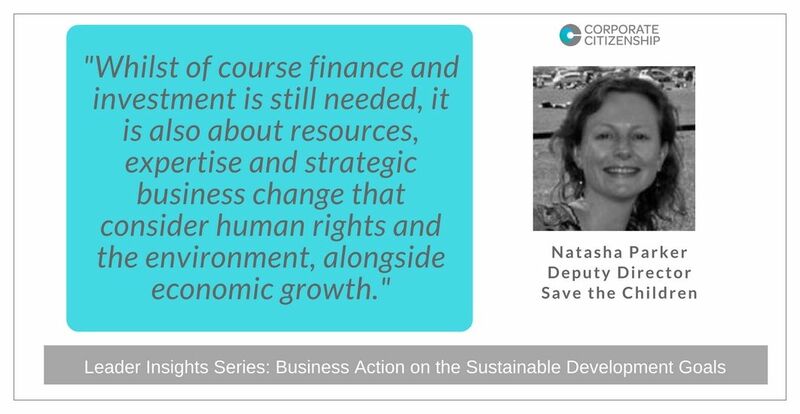 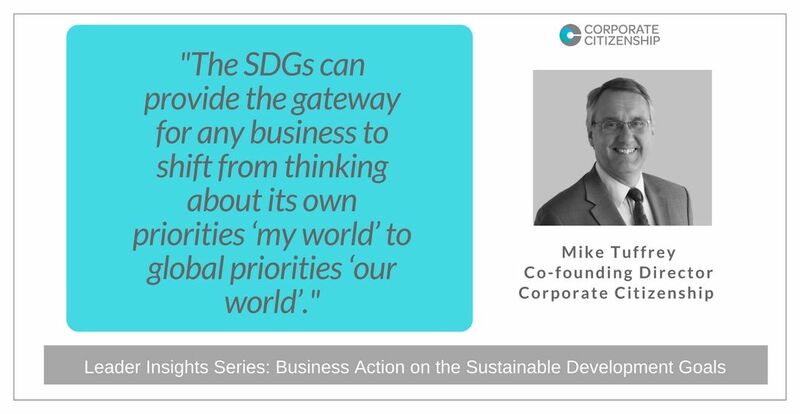 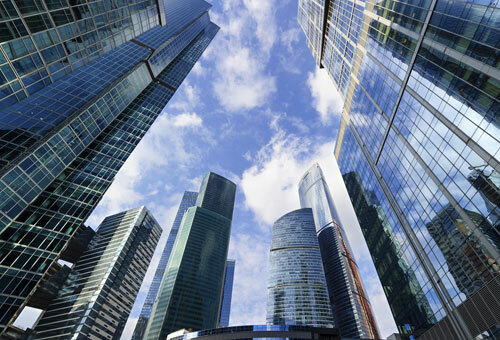 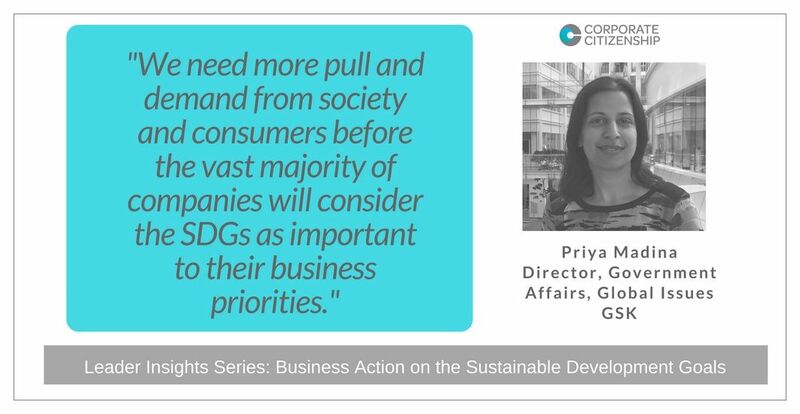 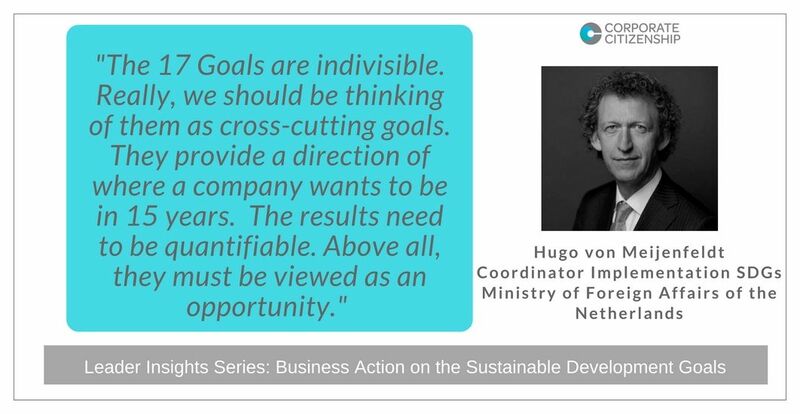 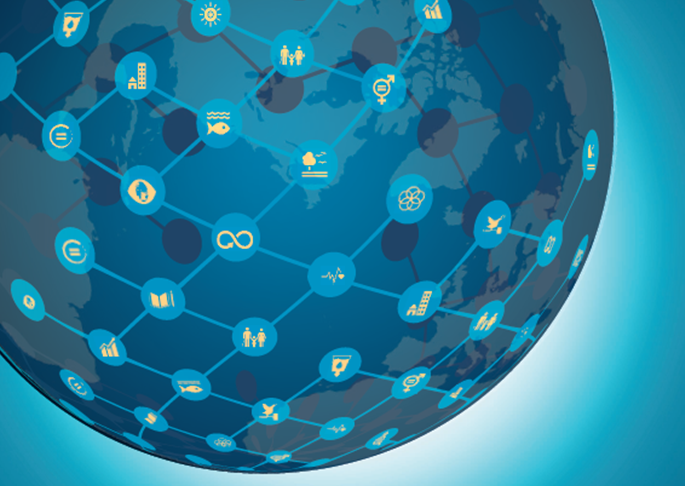 One year on from the launch of the Sustainable Development Goals (SDGs), Corporate Citizenship has interviewed leaders across sectors and industries to discuss the opportunities and challenges the SDGs pose one year on. 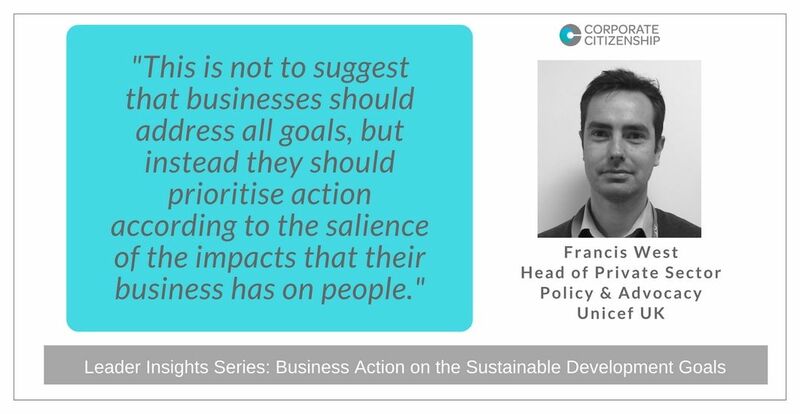 These discussions feed into our new report entitled ‘Advancing the Sustainable Development Goals: Business Action and Millennials’ Views‘, which explores how stakeholder expectations of business have changed in light of the new Global Goals. 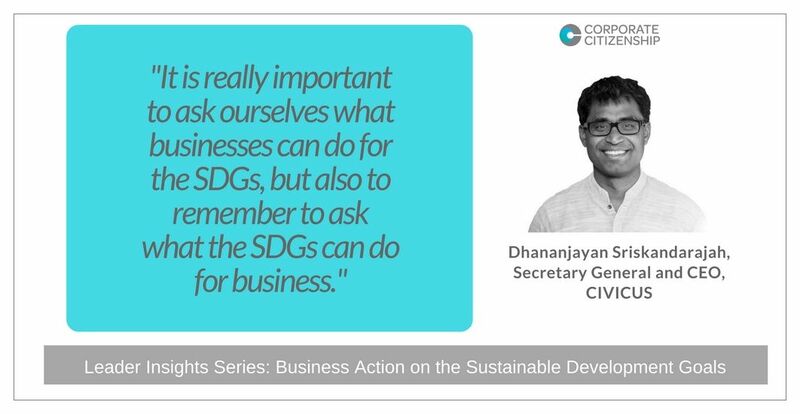 Click onto the image cards below to access the full interviews.